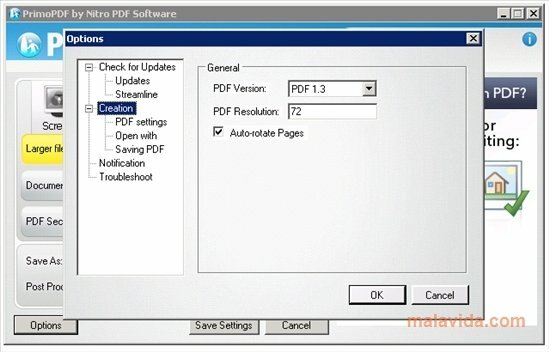 Files in PDF format are really useful, they don't occupy much space, they allow the use of images, and furthermore, they can't be modified, making them perfect for all kinds of manuals, reports, to share notes, and in general, any document. 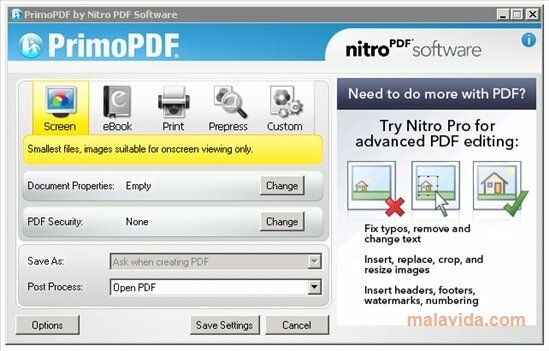 That is why converting any text document to PDF for free with PrimoPDF is a more than valid option. 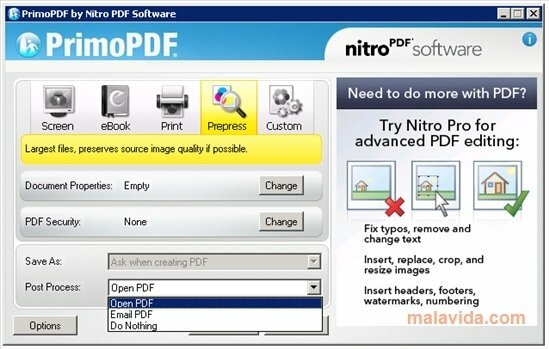 Once installed, PrimoPDF creates a virtual printer that allows you to save any file in PDF simply by selecting the printer called PrimoPDF, after which the program will open. Once open, it will offer us four options to optimize the resulting PDF file, allowing it to be viewed on a screen, as an eBook, a PDF with images, optimized for printing or to the user's liking. Thus, regardless of the use we want to give them, we can transform documents from text to PDF, images to PDF or any document for free by selecting Print from the File menu. 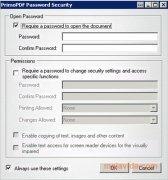 Now you'll be able to use any program that allows you to print to create the PDF files that you want, with the contents of your choice and you'll even be able to protect them by means of a password.